Marion "Suge" Knight turns 46 today. “I have learned not to worry about love; but to honor its coming with all my heart.” – Alice Walker. 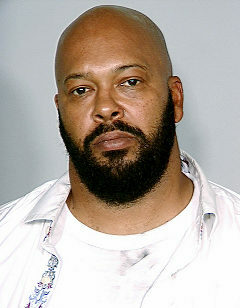 April 19: Hip-hop mogul Suge Knight is 46. Why are people worshipping in the churches? Be honest food, shelter, and entainment ask a little kid that question. *Zechariah 8:21 And the inhabitants of one city shall go to another, saying, Let us go speedily to pray before the Lord, and seek the Lord of hosts: I will go also ( Isn’t that what people are doing following each other in pray )21 is the day, follow it Google don’t know, Jews run the media. How did Israel get it’s name *Genesis 35:10 = Isaiah 45:4-5. Who took the Jews through Exodus? Who do they worship? People make it crystal clear, they are proud, look at the double minded president, using pride and humbleness in the same sentence. The Jews do not want christ, neither did they want Moses. Where is Joseph? The son of Jacob. The world is Following Esau call Edom *Genesis 36:8.